If you’re like many Americans, you have that one room in your home where everything ends up getting stashed when you have a party or last minute guests. Maybe it’s your guest room or mud room. Perhaps it’s your home office. Whichever room it is, Major Organizers™ wants to help you declutter that room and take back your space! In today’s blog, we’ll take a look at a couple of classic organizational tools that can transform any space from chaotic and cluttered to fabulously functional. 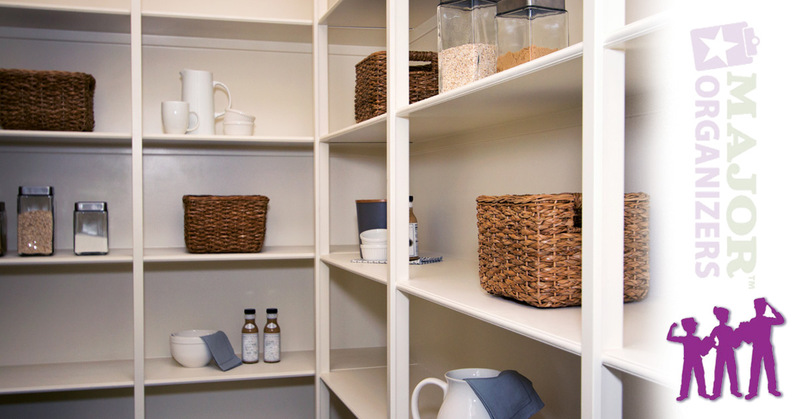 For more than 10 years, we have helped homeowners just like yourself organize their homes and develop a long-term strategy to keep the clutter away. We’d love to help you, too! If you’re like to learn more about our mission and services, contact today for a free estimate! 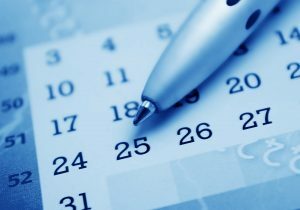 Any home organization project begins with proper planning and scheduling. What better way to accomplish this than by implementing an individual or family calendar? There are several different types of calendars out there, from your standard 12-month hanging calendar to magnetic whiteboards you can customize. Whatever type you get, be sure to find a central location for it so that all members of your family can easily see what’s on the agenda for the day. Taking control of your time management can free up the time you need to get your project started! Plastic storage totes are the hallmark of any decluttering project. If you’re someone who likes to be able to see what is stored inside of the tote, the clear variety might suit you best. Being able to see inside of the tote will allow you to quickly locate things like Christmas decorations and other items that get packed away most of the year. Others may prefer totes that are not clear, opting to label each tote individually for a more streamline storage appearance. Both types of totes are available in a wide variety of styles and sizes, so you’re sure to find the kind that suits your needs. Great for playrooms, garages, and basements, shelves are a great way to get all that clutter up off the floor. They also make it incredibly convenient for you to locate the items that have been stored when they are properly displayed on a shelf. By choosing a shelving unit that is adjustable, you can easily customize the height of the shelves to maximize your storage space. When faced with a large organization project, you might find it advantageous to use plastic totes with the adjustable shelves for a truly innovative storage solution. 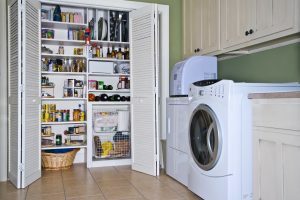 No matter how cluttered or unorganized your space is, Major Organizers is here to help you. Our services are available in locations throughout the United States and we offer a variety of packages designed to help you declutter and keep your home organized! Whether you need virtual organizational help or in-person assistance, we’ve got you covered. Don’t wait any longer to liberate your household! Call us today at 1-888-549-8854 to schedule your free estimate!